Port Hope Dental Gets Into the Swing of Things! 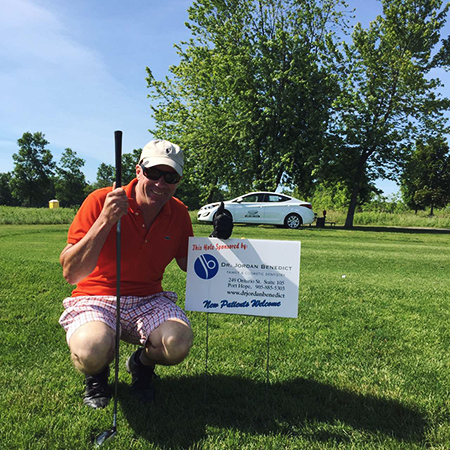 On Saturday June 20th, Dr. Benedict sponsored a hole at the Knights of Columbus charity golf tournament in support of Rebound Youth Services and Cornerstone Family Violence Prevention Center. The tournament was a great success and the players enjoyed a wonderful day of golf! Click here to see a larger photo! Port Hope Dental sponsored our patient, Audrey, when she headed off to the Canadian Model and Talent Convention in May. 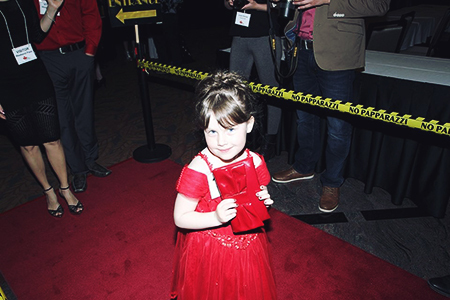 We have some great news...Audrey won in her category at the convention! 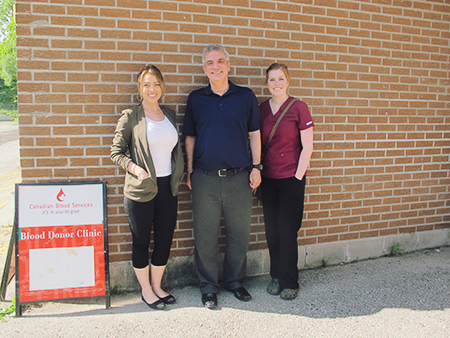 Dr. Benedict sponsored the Blood Donor Clinic at the Port Hope Lion's Recreation Centre on Monday, June 15. Thank you to everyone who came out and showed support. It was a great day! Click here to see another photo! It's that time of year again! We are hosting our Annual Sports Mouthguard Clinic from July 6 - August 20, 2015. Contact our office to reserve your spot! Mouthguards are flexible dental appliances worn by athletes to protect teeth from possible damage. 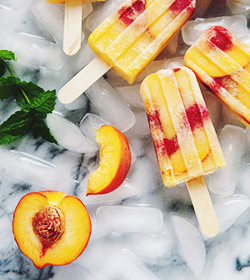 They are usually made of plastic materials that fit comfortably over your teeth and gums. There are over-the-counter variations available, but for the highest level of protection we recommend a custom-fitted mouthguard that is made specifically for your smile. Mouthguards prevent the lower jaw from impacting into the upper jaw, averting major injuries such as concussions, jaw fractures, neck injuries as well as limiting bruising and laceration of the lips and cheeks. Click here to learn more about mouthguards!